REUTERS/Larry DowningU.S. 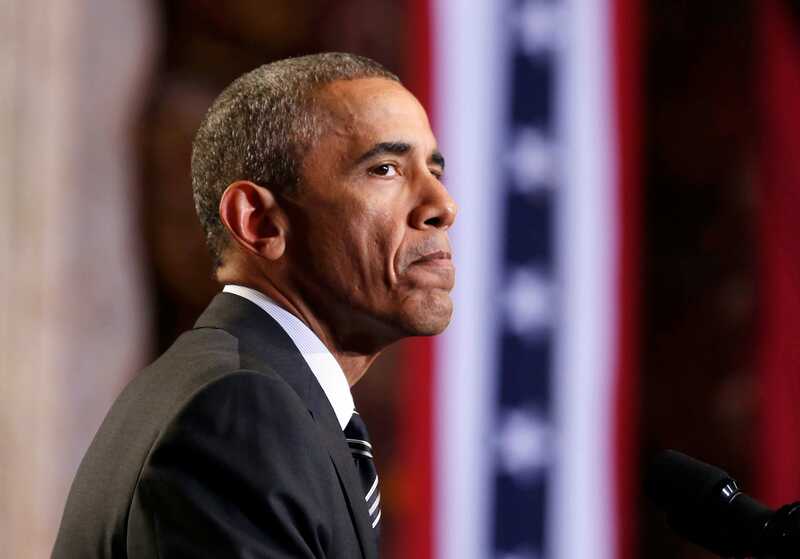 President Barack Obama pause while speaking about immigration reform at the Copernicus Community Center in Chicago November 25, 2014. The Obama administration’s current strategy for defeating the Islamic State (aka ISIS, ISIL, or Daesh) is doomed to fail, International Crisis Group Syria analyst Noah Bonsey writes in Foreign Policy. Bonsey argues that America’s Iraq-first outlook is emboldening Syrian President Bashar al-Assad and marginalizing mainstream Syrian rebel factions fighting both ISIS and the regime. Obama recently said that the US is not actively discussing ways to remove Assad from power. The main US-backed rebel group was recently routed by al-Qaeda’s Syria affiliate. 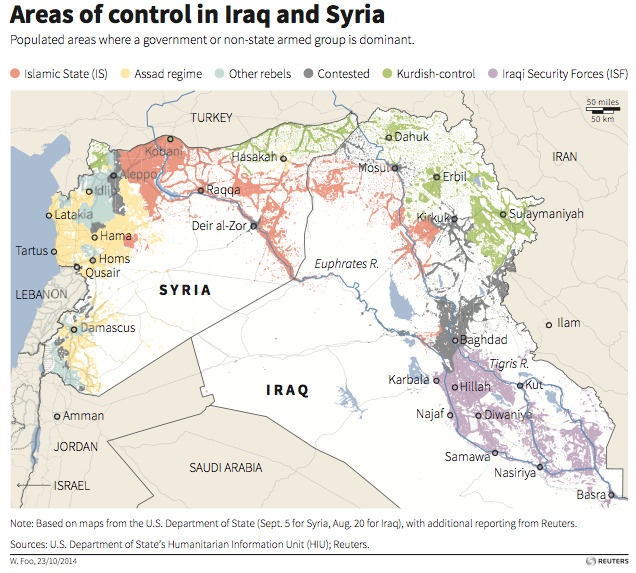 Meanwhile, ISIS is consolidating power in Sunni Arab areas in Iraq and increasingly trying to capture areas in Syria from the mainstream rebels. The US continues to bomb ISIS positions near the Turkish border. “The crux of the American dilemma in Syria is thus clear: Degrading jihadi groups requires empowering mainstream Sunni alternatives, but doing so may prove impossible unless Damascus (or its backers in Tehran) can be convinced or compelled to dramatically shift strategy,” Bonsey writes, noting that Assad facilitated the rise of ISIS. The Obama administration has said that empowering Sunni tribes in Iraq and the mostly-Sunni opposition in Syria is crucial to their strategy to degrade and destroy ISIS. At the same time, the US just extended nuclear talks with Iran for another seven months while Tehran backs Assad with men, money, and weapons against a Sunni uprising. Iran also directs brutal government-backed Shia militias in Iraq while pushing Baghdad to refrain from arming Sunni tribes. So as the US works to combat ISIS and secure a nuclear deal, Iran-backed governments in Iraq and Syria stifle the empowerment of Sunni Arabs needed to defeat ISIS.